Nov. 8-Jan.6 expect festive entertainment and exciting holiday touches around the park. •	The new Toy Story Land will feature special seasonal fun, such as holiday songs on Alien Swirling Saucers. •	Sunset Seasons Greetings returns this year with impressive new laser effects and “snow.” Guests will witness spectacular projections of beloved Disney Characters – Mickey Mouse, Minnie Mouse, Olaf and others – sharing their favorite seasonal stories as holiday magic transforms the famous Hollywood Tower Hotel into scenes of the season. •	The nighttime spectacular Jingle Bell, Jingle BAM! will combine state-of-the-art projections, fireworks, special effects and music to create a one-of-a-kind holiday experience. •	Meet Santa at the Once Upon a Time shop Nov.10-Dec. 24, and Santa Goofy after he steps in Dec. 25. Charming decorations, holiday treats, a sparkling icy castle and more will await guests at Magic Kingdom Park, transforming it into an enchanting holiday wonderland. 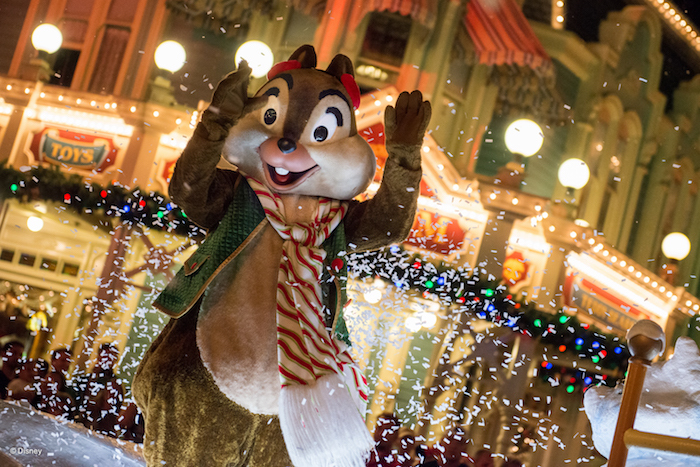 The holiday festivities at the park will also include Mickey’s Very Merry Christmas Party, a specially ticketed, limited-attendance celebration that takes place on select nights starting Nov. 8. Each night of the event will feature an exclusive showing of Holiday Wishes fireworks and performances of Mickey’s Once Upon a Christmastime Parade, A Totally Tomorrowland Christmas and Mickey’s Most Merriest Celebration stage show. 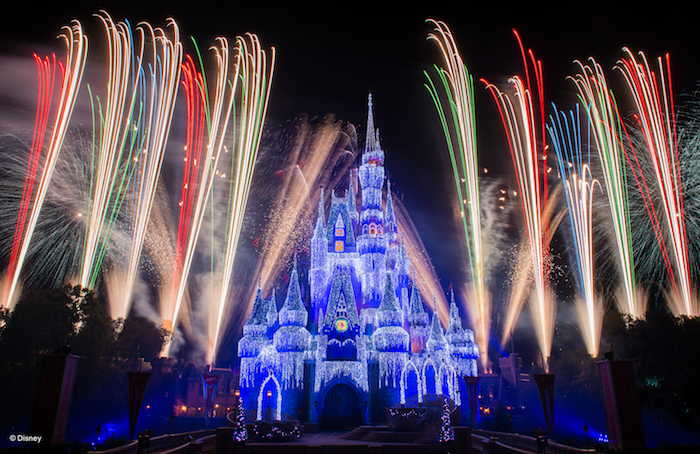 Guests will also experience the beauty of a scintillating Cinderella Castle, meet characters in their festive finery and even enjoy complimentary cookies and cocoa. Joyous holiday traditions from 11 World Showcase nations during Epcot International Festival of the Holidays are in store. Beginning Nov. 18, this year’s festival will deliver a yuletide extravaganza. •	Seasonal tastes from around the globe are served at special Holiday Kitchens. •	World Showcase pavilions come alive with the sights and sounds of special entertainment celebrating each country’s holiday heritage. •	The nightly fireworks display, IllumiNations: Reflections of Earth, will feature an additional holiday finale. 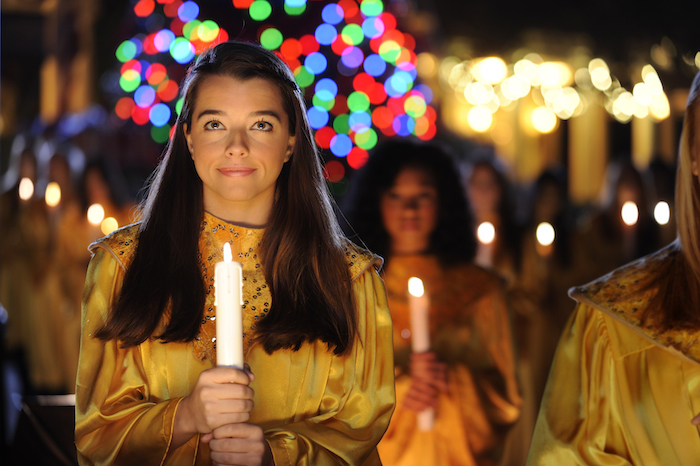 •	One of the most popular Epcot traditions, the Candlelight Processional, returns. This retelling of the Christmas story will feature a celebrity narrator accompanied by a 50-piece orchestra and a choir. Performances will run three times each night from Nov. 22-Dec. 30. New this year, the magic of nature will receive a holiday touch with the inclusion of Diwali, the holiday Festival of Lights in India, as part of the new live show UP! A Great Bird Adventure. 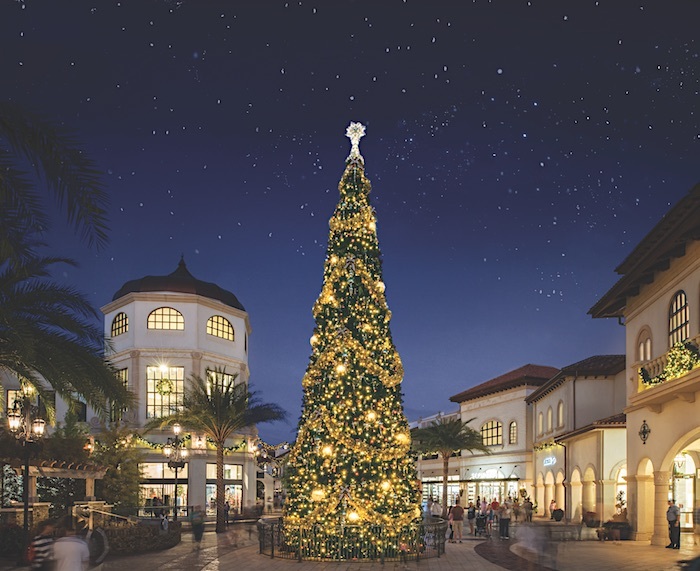 •	Stroll through the Christmas Tree Trail and view custom-decorated holiday trees, each dedicated to a popular Disney theme featuring characters like Mary Poppins, Mickey Mouse and Minnie Mouse, among others. •	At Santa’s Chalet, Santa Claus will accept Christmas wish lists and welcome guests. From Dec. 25-Dec. 31, Santa Goofy will take over after Old Saint Nick heads back to the North Pole. •	Take part in Stitch’s Holiday Gift Hunt and discover where the mischievous Experiment 626 is hiding. •	Life-size edible creations will take shape at select resorts. A holiday gingerbread house at Disney’s Grand Floridian Resort & Spa will be home to The Bake Shop, where guests will pick up holiday treats, including the namesake gingerbread. A life-size, edible spinning carousel is a holiday tradition at Disney’s Beach Club Resort, while a holiday village with a miniature train takes center stage at Disney’s Yacht Club Resort. •	In the lobbies of Disney’s Wilderness Lodge and Disney’s Animal Kingdom Lodge, guests will take in the grandeur of massive Christmas trees. •	No holiday is complete without a special dining experience. Holiday menus that celebrate the season will be found at restaurants throughout Walt Disney World Resort. To celebrate the New Year, choose between two New Year’s Eve celebrations at Disney’s Contemporary Resort. Pixar Party: A New Year’s Eve Celebration and Disney Countdown to Midnight, including an option to purchase VIP access to the Ink and Paint Club. Both celebrations will feature entertainment, music, food and refreshments, plus a viewing of the Magic Kingdom New Year’s Eve fireworks to cap off the night.